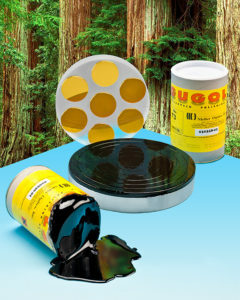 Gugolz Optical Lapping Pitch is recognized worldwide as a premium grade of optical polishing pitch. As a result of continuous product refinement by the Swiss manufacturer there is no detectable variation between batches and no need for screening or filtering by the end user. Having five hardness grades eliminates the need to mix additives to form a particular grade. However, all grades are completely compatible so they can be mixed to any intermediate degree of hardness to suit any requirement from Very Soft to Very Hard. The following prices are for quantities of 1-11 kg. Larger quantity discounts are available. Contact Us for more information.